Hachikuji Mayoi (Snail Girl!) with all the default parts. 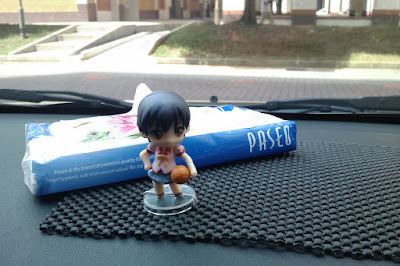 Followed the pose that was on the box. 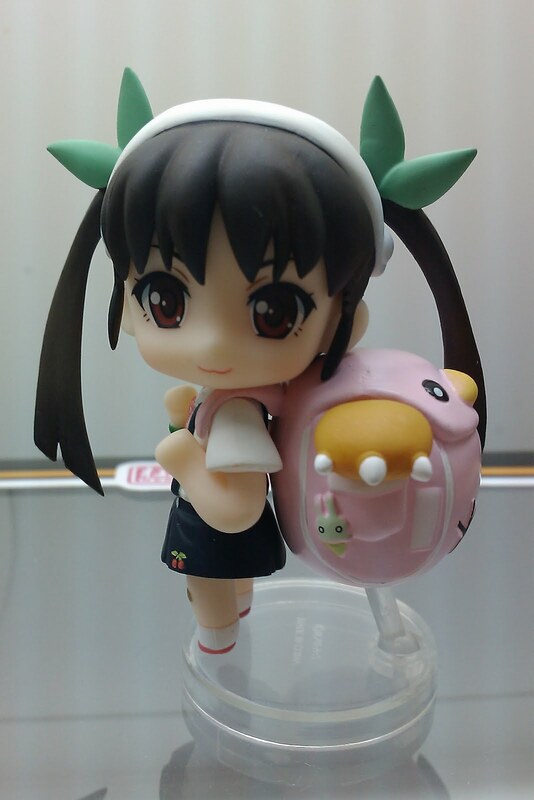 Her schoolbag is kinda cute ^.^ Shaped like a chick, with the arm of a lion stuffed toy poking out. 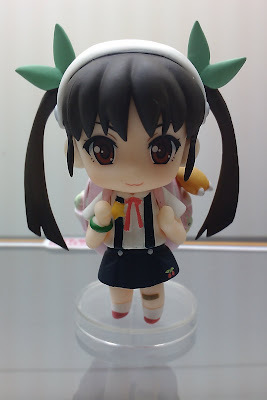 A usagi (rabbit) keychain on one side, a small teddy bear on the other. 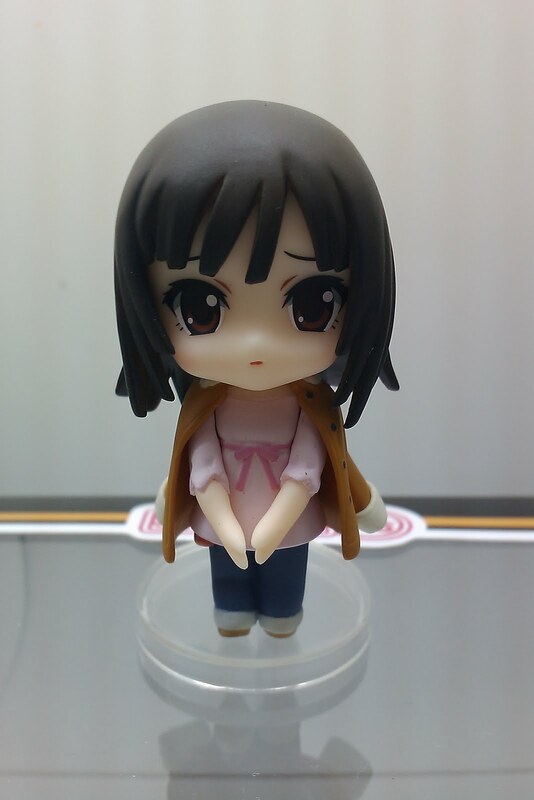 This is the shy Nadeko Segoku (Snake Girl! 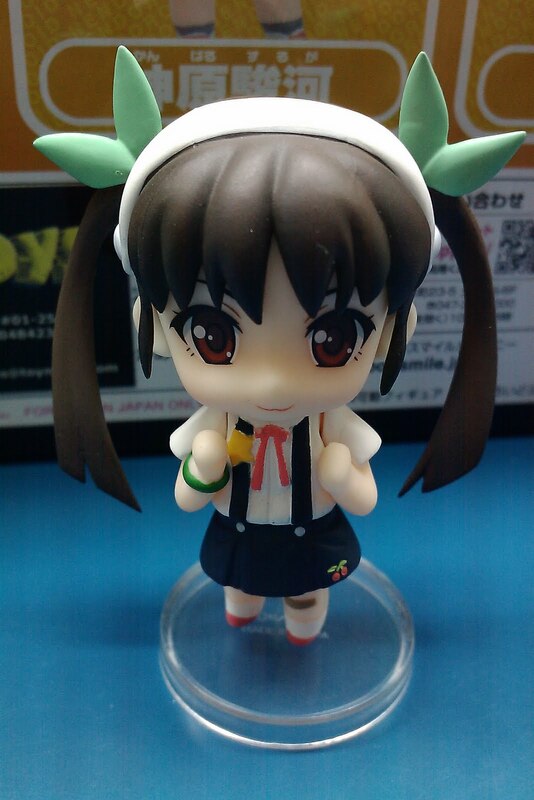 aka "Naked Snake") with her default parts. With her cute removable coat/jacket. And a cute, super big, hat. 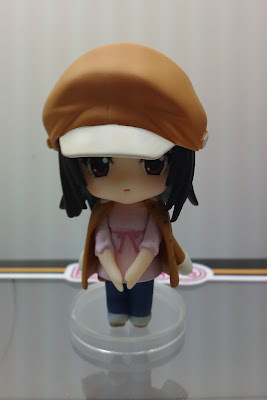 Can't fit on nendoroids (hat too small), or other nendoroid petits (hat too big). 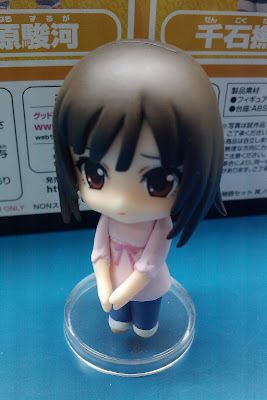 Just right for figmas. 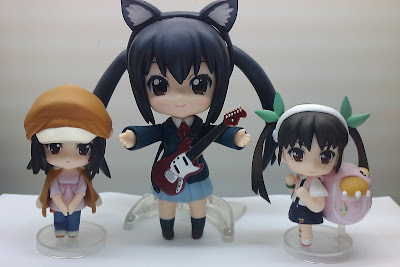 The head size of some figmas are the same as the nendoroid petit heads, with other figma heads are a little bigger. The whole family, with Azu-nyan nendoroid just to give you an idea of how small it is. The nendoroid petit figures are not as well made as the main nendoroid line, but they are sturdy and still have about the same number of removable parts. They don't come with different expressions though, and the leg and arm options are limited. A set of 3 of these is actually cheaper than 1 nendoroid (about S$10 cheaper). 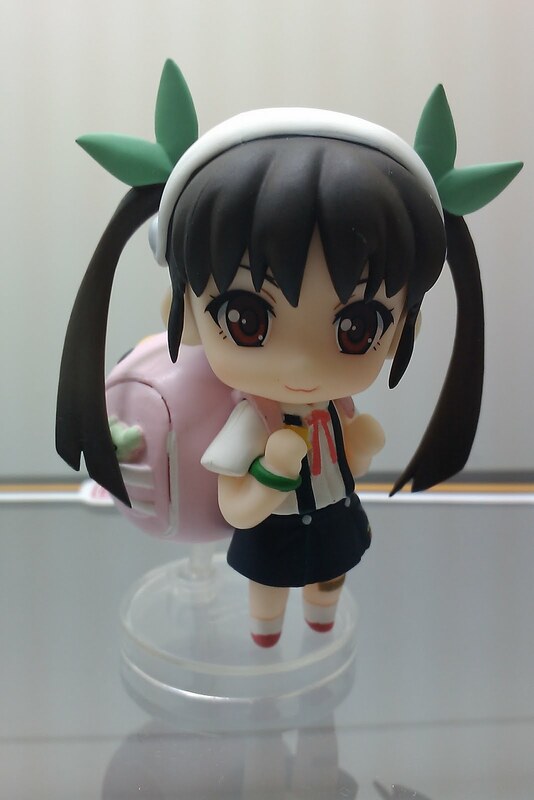 I would most likely save up for more nendoroids instead. Bonus image: Where's our favourite BL lover, Suruga Kanbaru?